WMSU President Dr. Mirabel Ho and PCAARRD Executive Director Dr. Patricio Faylon led in unveiling the Pangako sa Dagat pledge wall. Officials and staff of the Philippine Council for Agriculture, Aquatic and Natural Resources Research and Development (PCAARRD), Bureau of Fisheries and Aquatic Resources (BFAR), National Fisheries Research and Development Institute (NFRDI), the local government of Zamboanga, and the Western Mindanao State University (WMSU) pledged to help save the Philippine seas to sustain fish production for the benefit of Filipinos on a pledge wall dubbed as “Pangako sa Dagat” during the 2014 Sardines Festival held at WMSU, Zamboanga City. 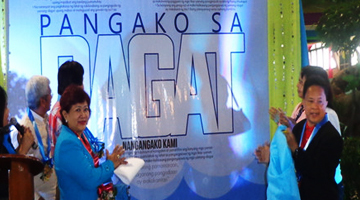 The officials who pledged their commitment during the event included Zamboanga City Mayor Ma. Isabel Climaco-Salazar; NFRDI Interim Deputy Director Noel Barut; WMSU President Dr. Mirabel Ho; PCAARRD Executive Director Dr. Patricio Faylon; BFAR Director Atty. Asis Perez, and Atty. Rhaegee Tamanya who represented the Office of Senator Cynthia Villar. Students of the WMSU and nearby schools also signed the pledge wall as a sign of their commitment. The local government expressed the need to maintain and protect the environment to ensure stable fish supply for commercial and community use. Cases of overfishing, illegal fishing, and pollution have been plaguing the Sulu Celebes sea, endangering the sardine supply of Zamboanga. “The Philippines is the third largest sardine producer in the world. 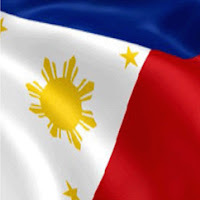 After two to three years, the Philippines hopefully will be the number one in the world,” said PCAARRD Executive Director Patricio S. Faylon during this speech. To attain this goal, BFAR is continuing its efforts in increasing sardine production through a three-month fishing ban that allows sardines to grow and multiply during spawning season. Having been enacted in 2011, project implementers reported an increase of sardine by 6.32% in 2012. The ban also reduced the smaller-sized sardines being caught by the sardine industry and the communities. Moreover, to have a more accurate understanding of the spawning season and juvenile population of sardines, PCAARRD has funded four ongoing studies. These studies include the assessment of the sardine fisheries in Tawi-Tawi waters; molecular technology-based assessment of the sustainability of sardine fisheries; sardine supply chain; and impact assessment of the closed season for sardine fisheries. The Sardines Festival is part of the “Farms and Industry Encounters through the Science and Technology Agenda” (FIESTA), an initiative of PCAARRD-DOST that aims to commercialize regional S&T-based products to their target markets. The two-day event was executed through the collaboration of the WMSU, NFRDI, BFAR, and PCAARRD. The festival is the first FIESTA celebration in Zamboanga City.